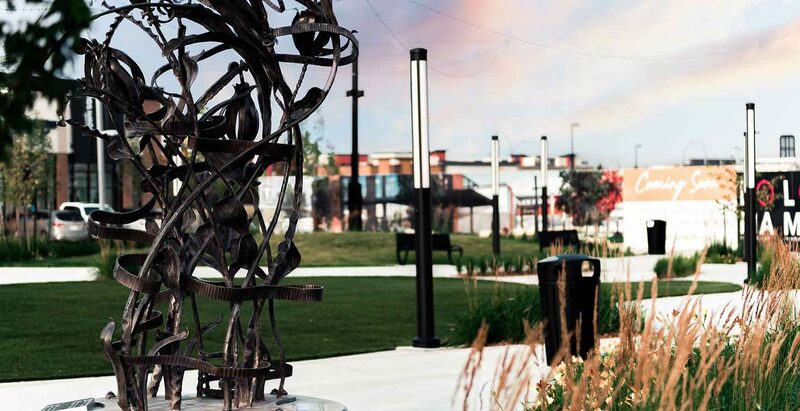 Town Square is a vibrant and welcoming urban gathering space in the heart of Currents of Windermere, Edmonton’s finest shopping centre destination. Located just off Anthony Henday and Terwillegar Drive, this multipurpose space is ideal for residents and visitors to gather, relax, and take in the wide variety of community events that are hosted here throughout the year. We also encourage you to discover our many retailers, boutiques, services, entertainment and dining options available. There is truly something for everyone! Visit our Events or Facebook page for more information. Interested in booking the Town Square for your next community event? Currents proudly supports many community-based and charity organizations. Contact us for booking inquiries and eligibility by email at Bookings@harvard.ca or Submit a Booking Request Online.